Pasta Brava has good pasta. But the other 2 times I’ve been here (2009, 2010) I remember being unimpressed by their other offerings. Keeping that in mind, I ordered pasta. Third time lucky? Yes. 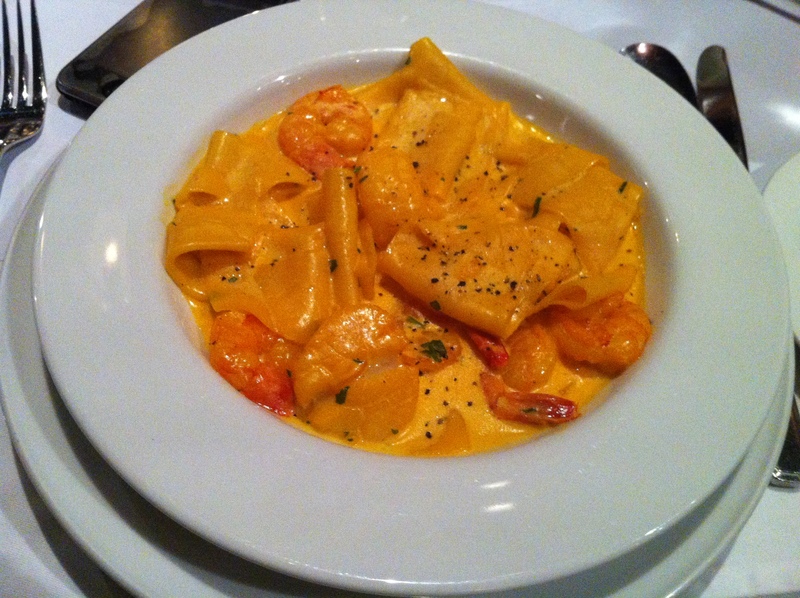 So I am delighted to mention that Stracci al Gamberi e Capesante (4.5/5) , or “thin strips of fresh pasta with scallops, prawns, green peppercorn, white wine and saffron cream sauce” [source] is delicious. Crunchy scallop, crunchy prawns. Delicious sauce, delicious delicious sauce. Mount the butter!